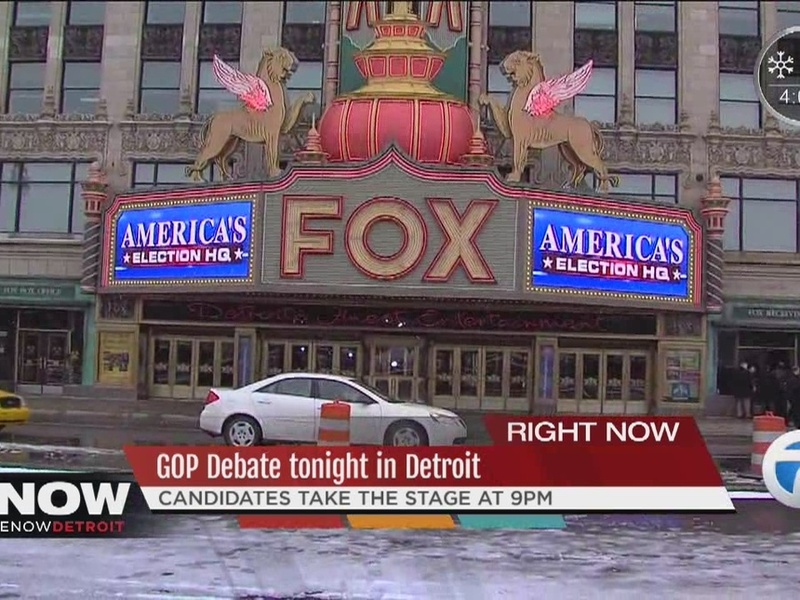 Multiple protests are currently taking place outside of the Fox Theatre in Detroit, the location of Thursday's Republican presidential debate. The primary group protesting is "Fight for $15," an organization campaigning for a $15 minimum wage. "Fight for $15" is joined by protesters carrying signs and chanting against Republican frontrunner Donald Trump, Michigan Governor Rick Snyder, and the Flint Water Crisis. "We're here today protesting the hateful rhetoric that has been spewed by the Republican Party, particularly Donald Trump," Hassan Sheikh, a member of the Michigan Muslim Community Council, told the Detroit News. "We've seen a rise in hate crimes. We've seen a rise in people being empowered to spew out hateful mindsets. And this is not good for the nation. We live in the greatest nation on earth, and we have to do everything we can to keep it that way." Sheikh was among the hundreds gathered across the street from the Fox Theatre by 7 p.m. – a crowd that would be boosted 10 minutes later by the arrival of buses filled with other demonstrators. Earlier on Thursday, fast-food workers in Detroit and Flint walked off of their jobs as a part of the "Five for $15" protest, and rallied by the entrance of the Fox Theatre, according to a press release from the organization. "It's to help workers get a decent wage and form a union," Taco Bell worker Tyrone Stitt from Flint told the Detroit Free Press. "I feel like the corporations are making billions of dollars off the backs of low-paid workers — and they aren't paying people what they are worth."